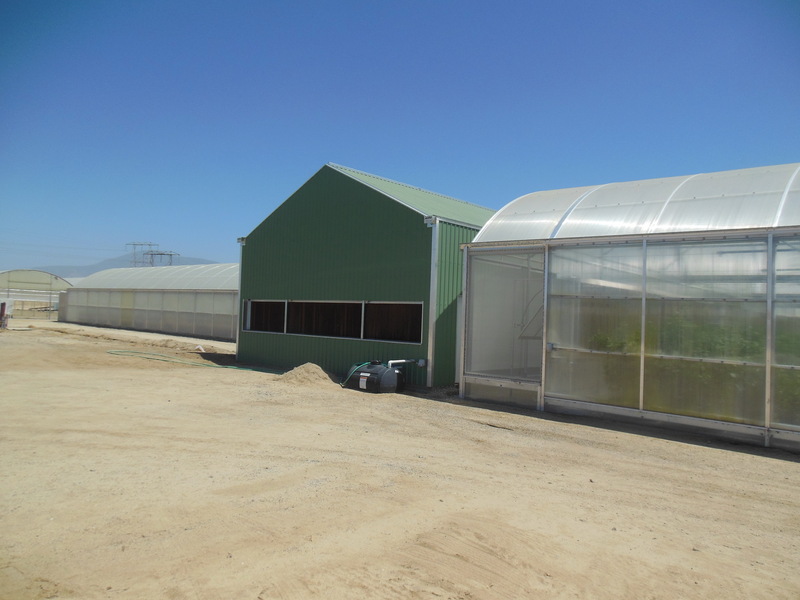 Part one and two of a three phase expansion including a center Solar Light 48 headhouse with ranges of Solar Light 42 x 204' growing houses attached. 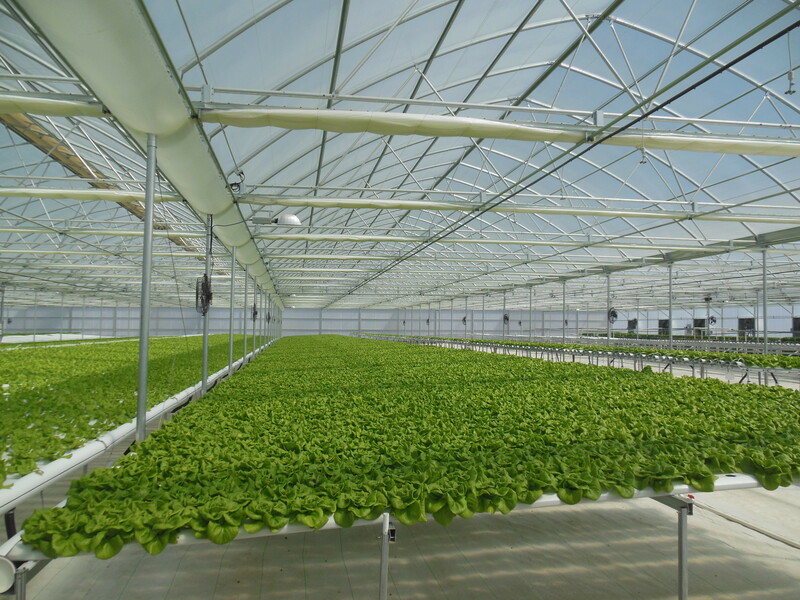 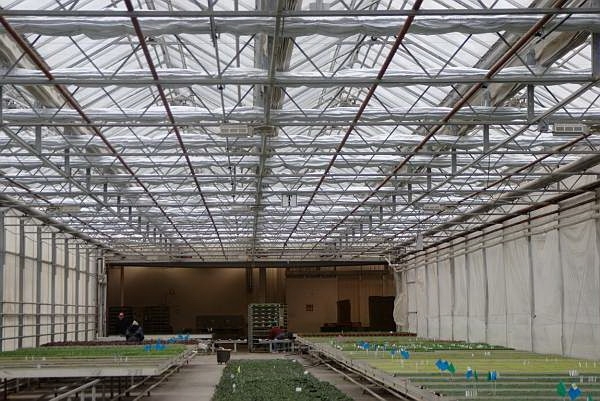 With mobile benching, Water booms, Curtains, Evaporative Cooling, Trueleaf under bench heating, Environmental controls, and Insect Screening, this project has it all. 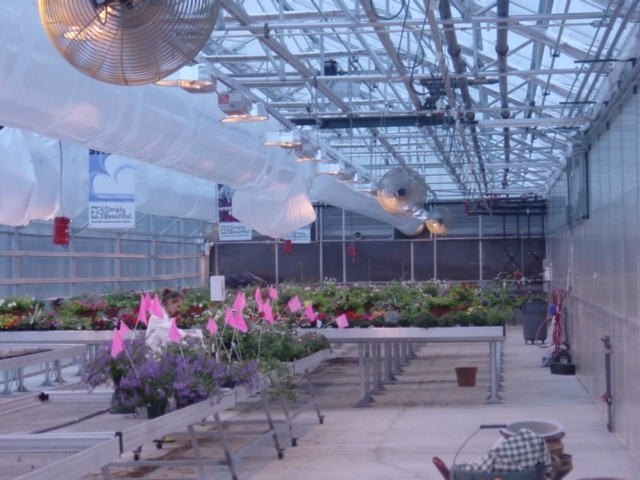 It's a huge project, but after it was completely designed, it took less than six months to make it 100% operable. 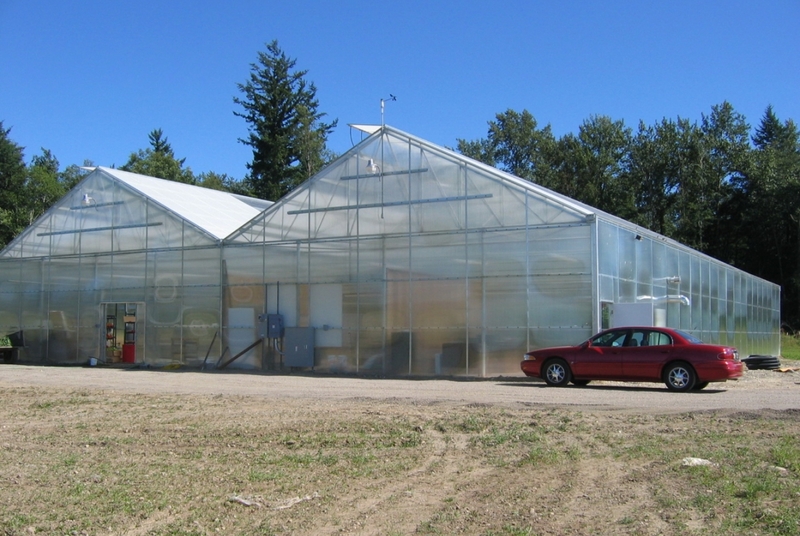 Utilize positive pressure Solar Light greenhouses to keep harmful insects away from valuable germplasm. 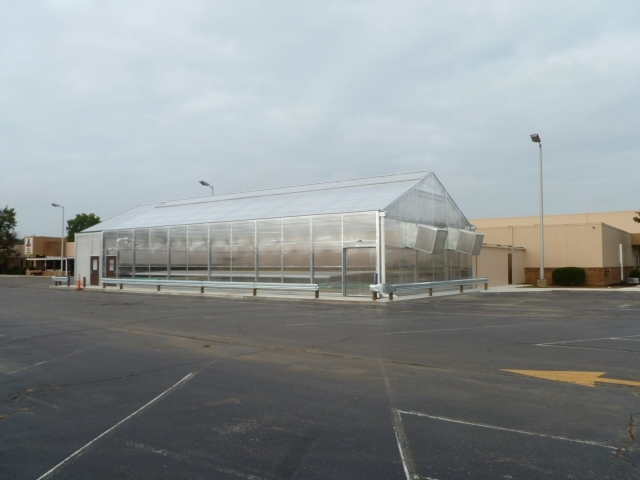 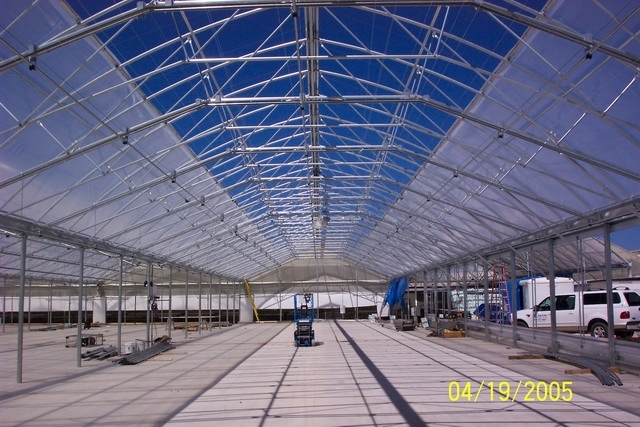 To build a Greenhouse where Lake Area Industries can provide meaningful employment to persons with disabilities. 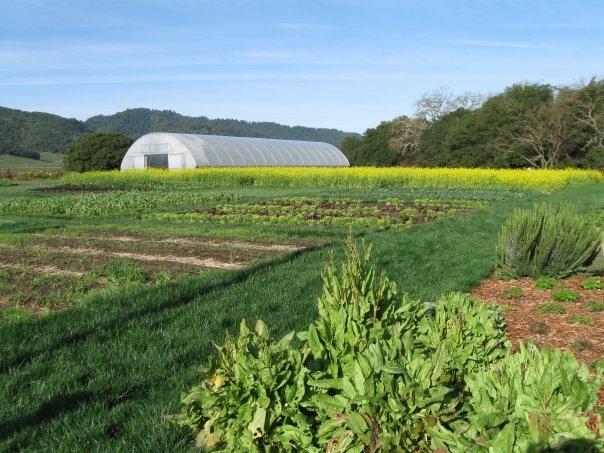 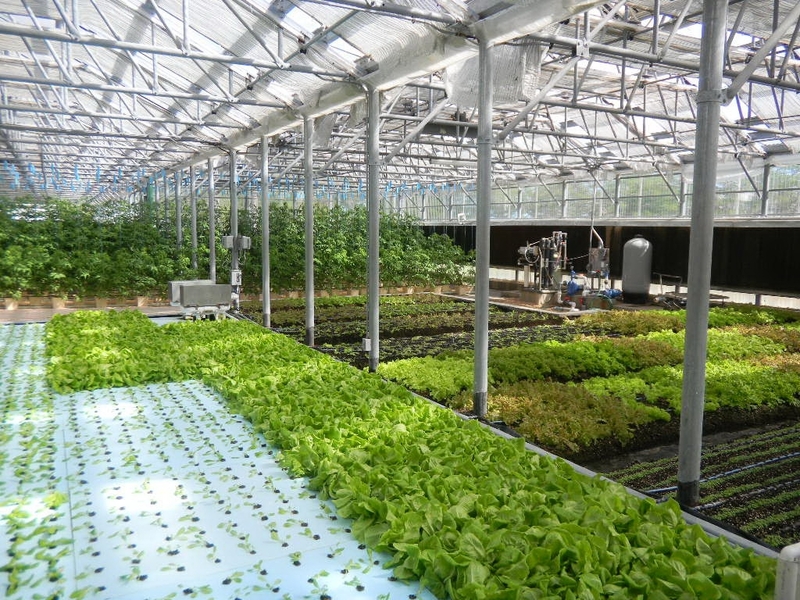 The French Laundry and Bouchon Bistro chefs wanted to grow their own fresh, organic vegetables for use in their restaurants. 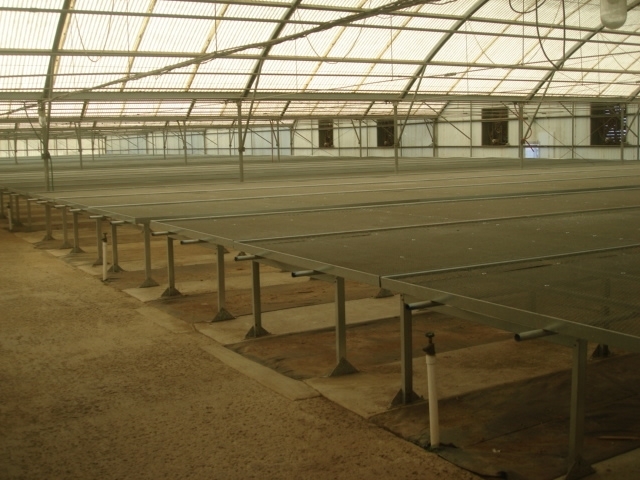 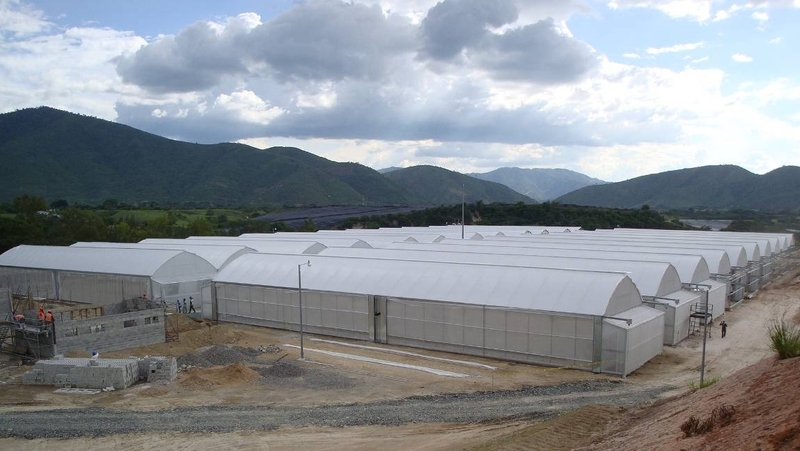 To provide a research and development facility for a large vegetable producer. 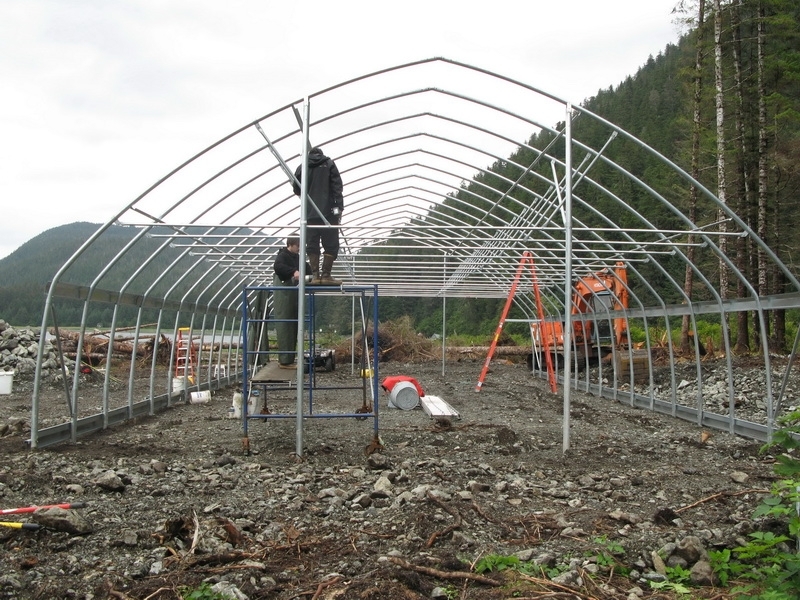 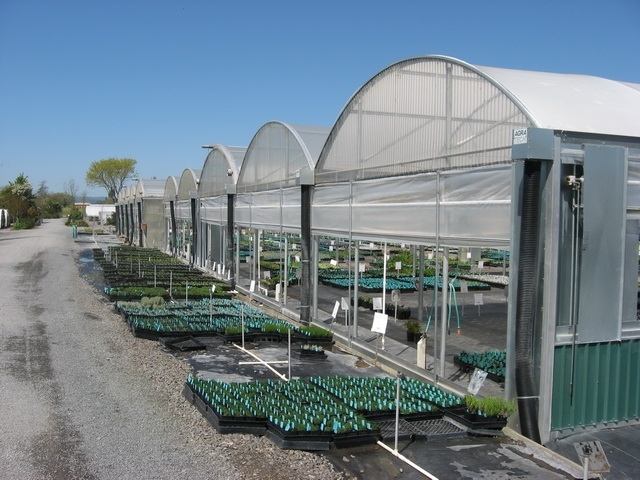 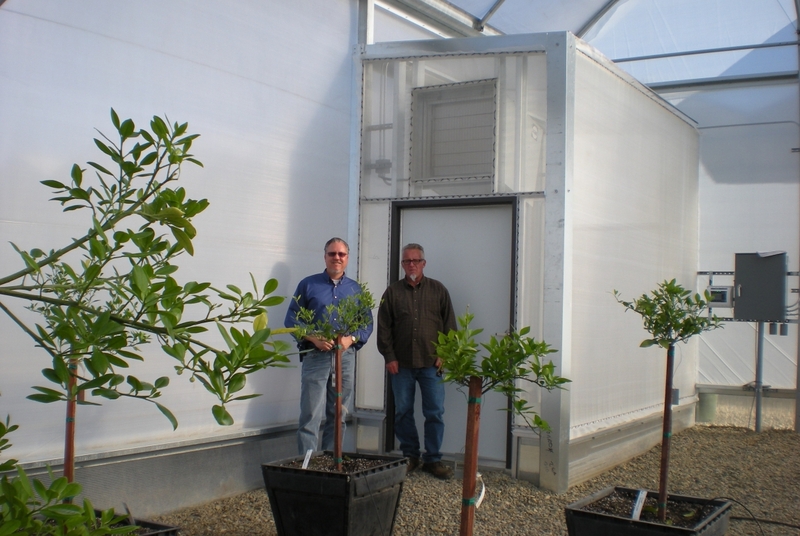 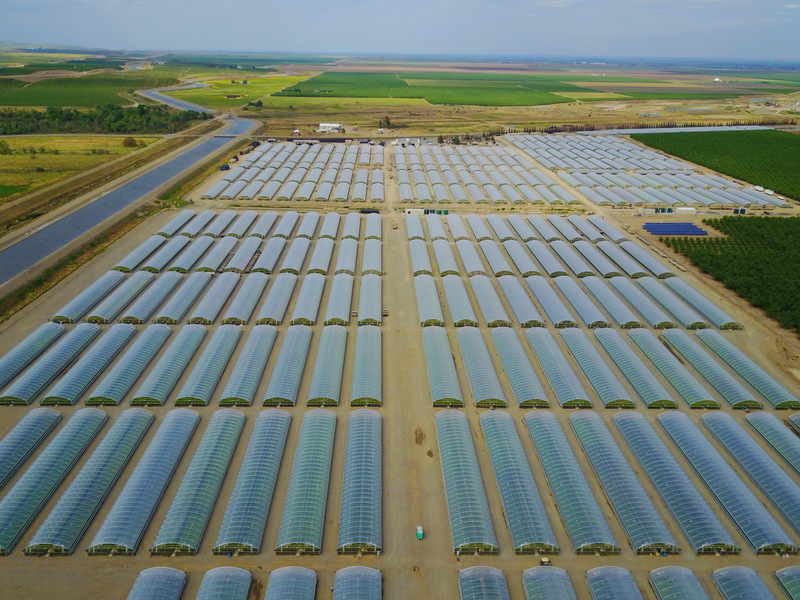 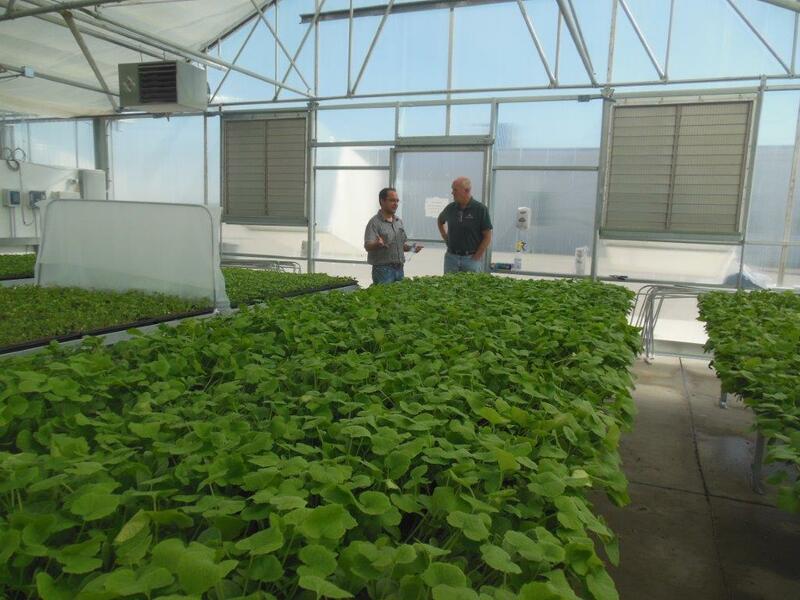 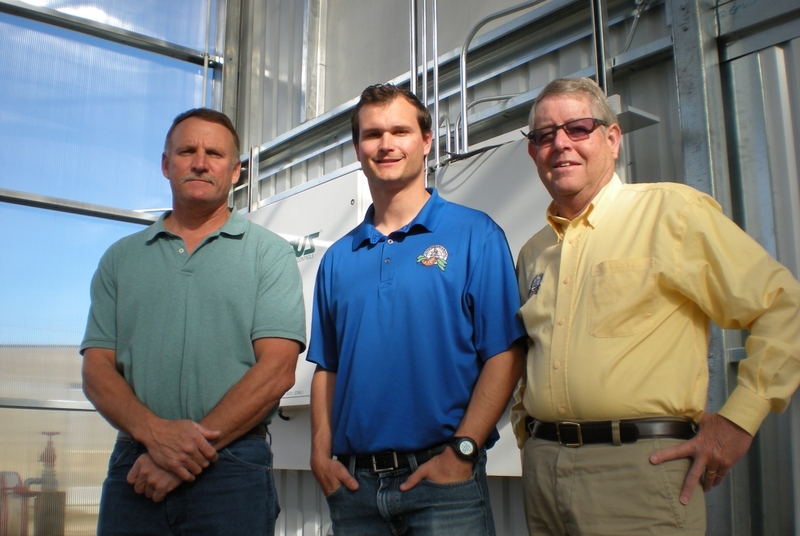 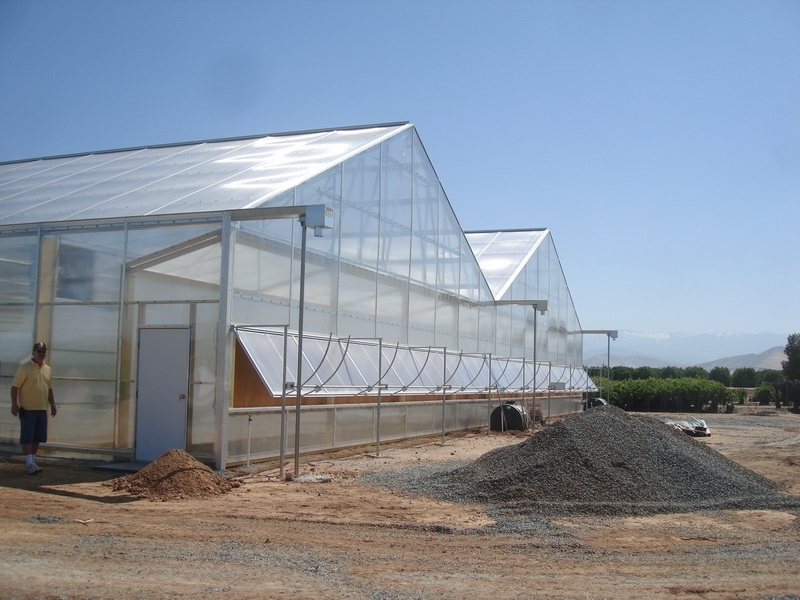 To provide a USDA-NRCS compliant Tunnel for the free greenhouse tunnel program. 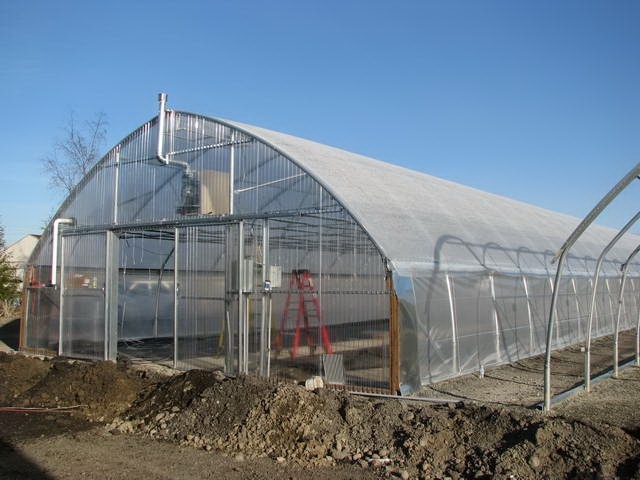 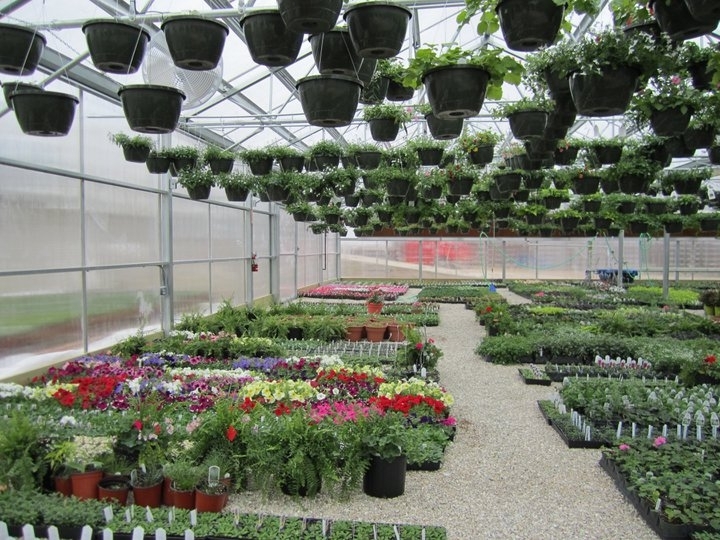 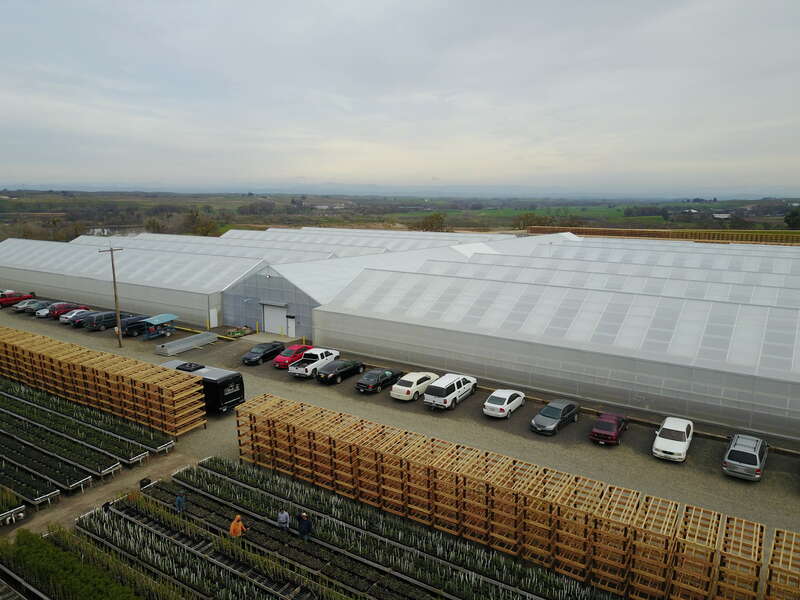 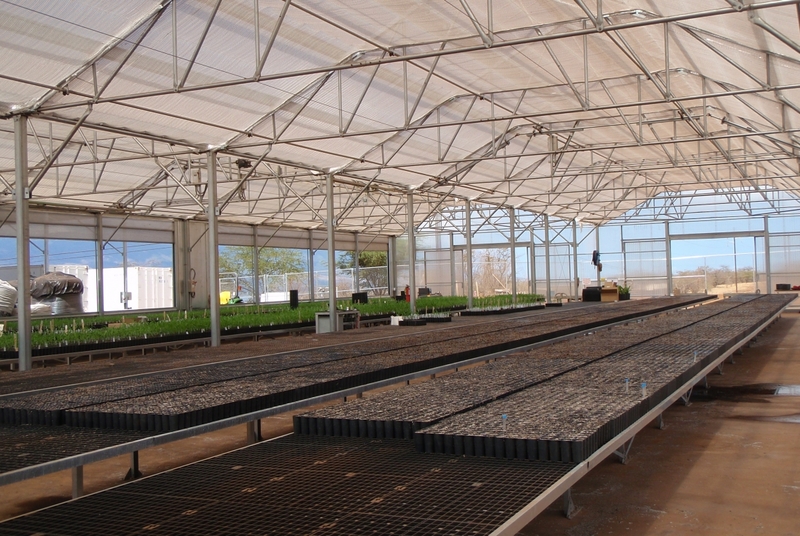 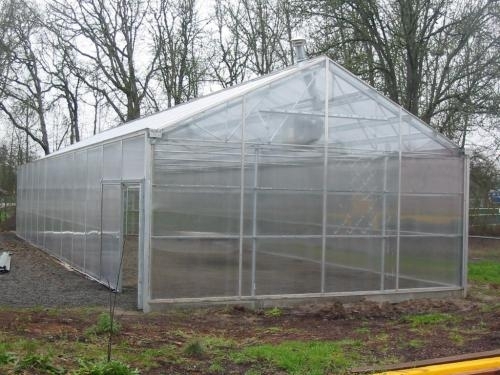 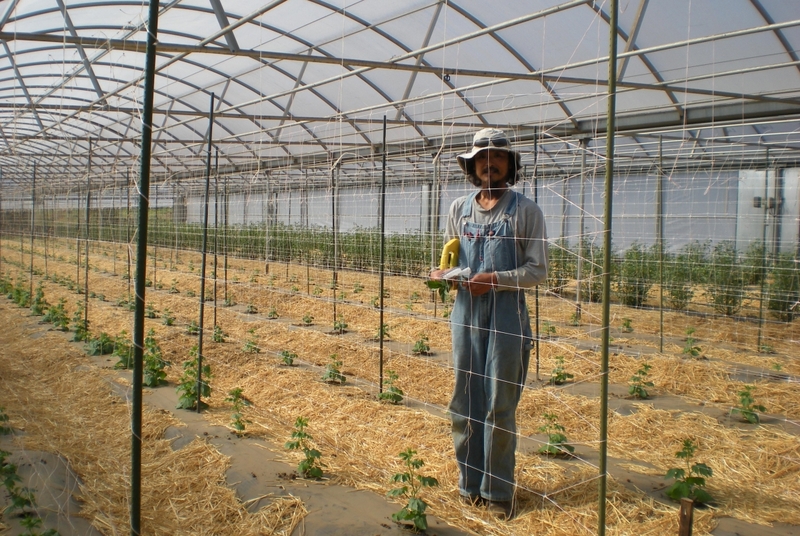 Replace old low-eave wooden greenhouses with a brand new facility organized to minimize labor. 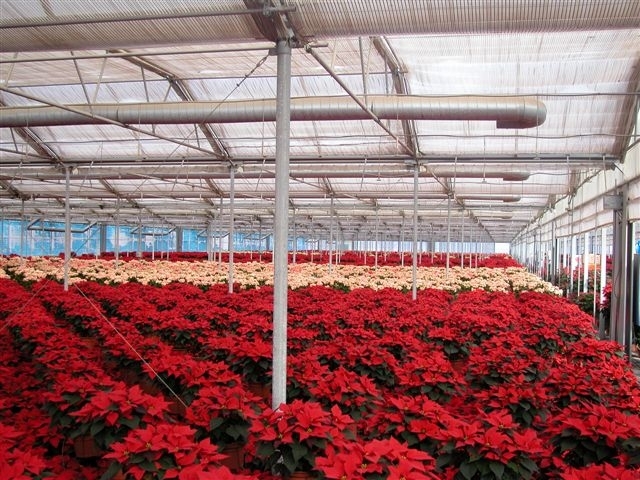 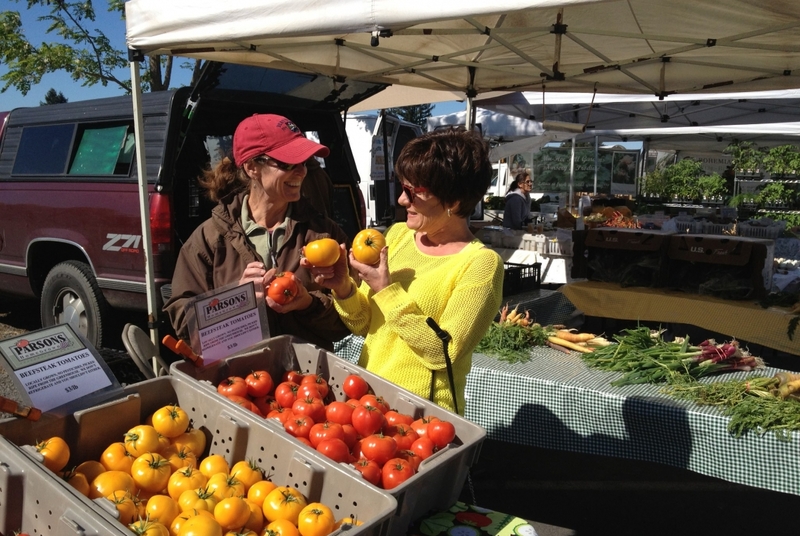 Produce better quality plant product from what was available to purchase. 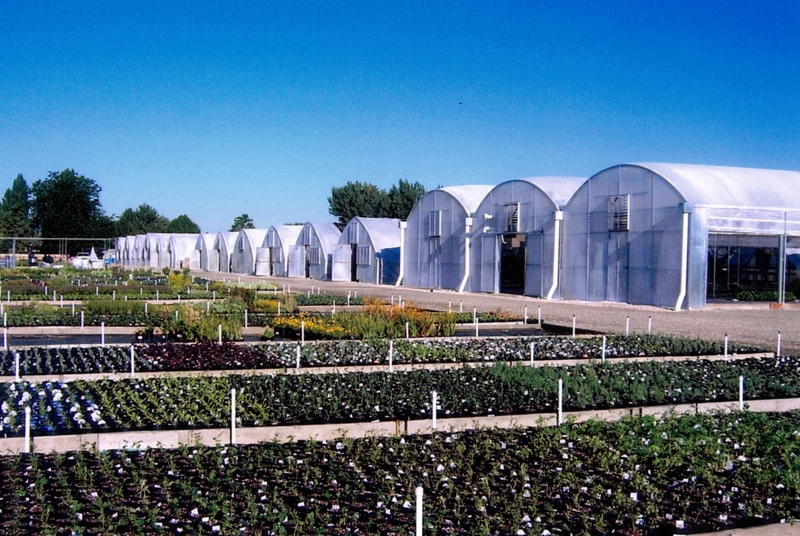 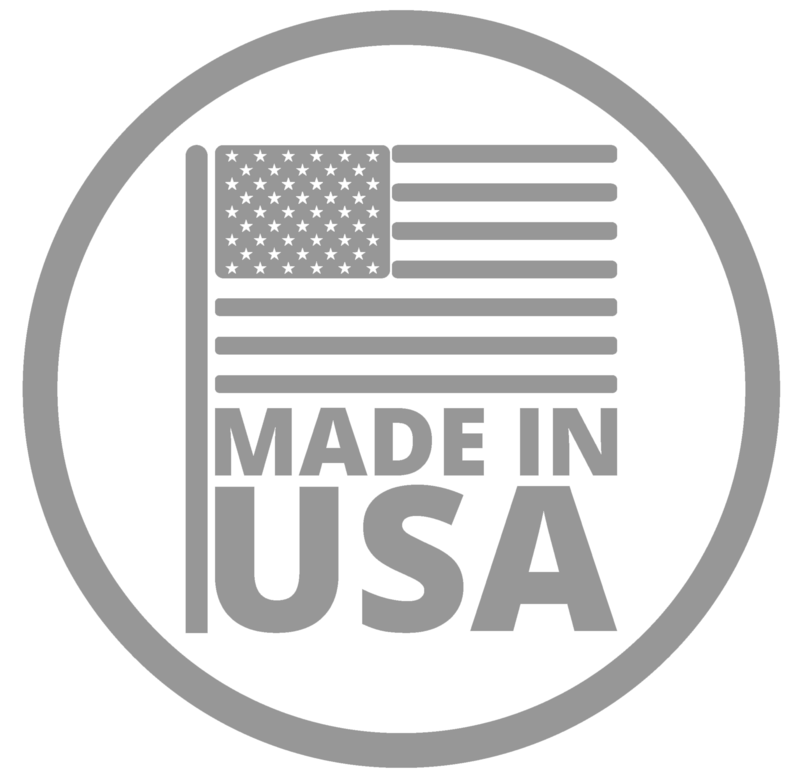 GoGreen's HappyLiving brand means organic, sustainable, and year-round quality. 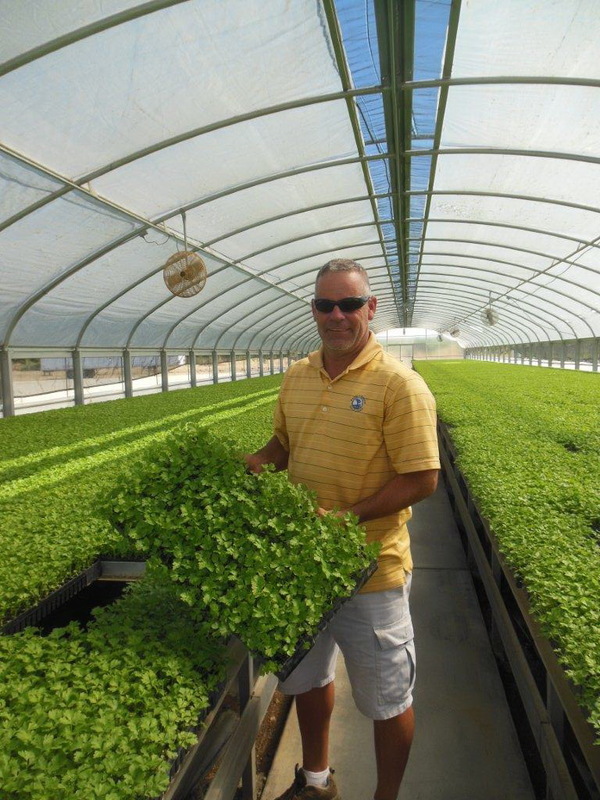 Provide fresh high quality produce for the resort's restaurant. 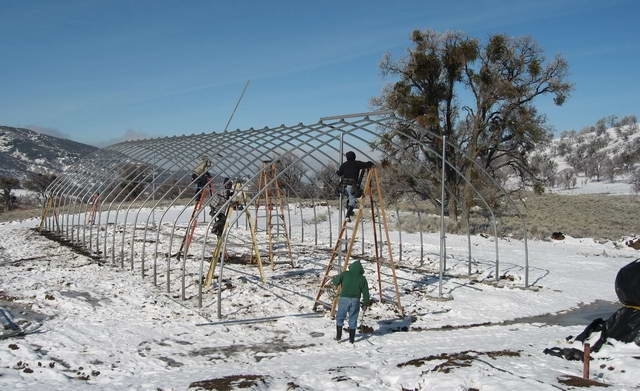 Wanted better heat retention. 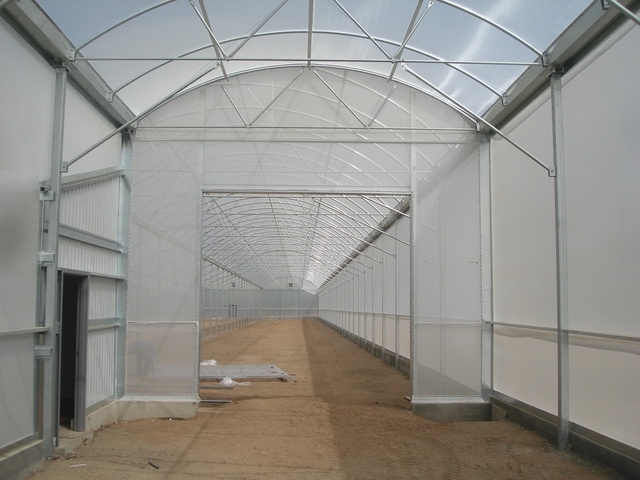 The existing curtain was primarily for shade and the open weave fabric did little to insulate the house.